Lionel Messi has never scored against Chelsea in any of the eight games he has faced them in the Champions league. The fixture between these two sides has served us with breath-taking matches over the past years but non stands out like the game at Stamford Bridge in 2009. When that particular game is mentioned, everyone’s mind runs to Tom Ovrebo, the famous Hungarian referee who will always be remembered for the wrong reasons as per poor display in that tie’s second leg. Luckily for Antonio Conte, it is a Turk in the middle this time round. Chelsea have been boosted by the fact that both Marcos Alonso and Ross Barkley, who have missed Chelsea’s last three games, trained on Monday, but David Luiz and Tiemoue Bakayoko were absent hence leaving them with slim chances of taking part in Tuesday’s game. Barcelona centre-back Thomas Vermaelen has travelled to London, but Philippe Coutinho is cup-tied, after playing for Liverpool in the group stages. Otherwise Ernesto Valverde has a full strength squad to choose from. Chelsea and Barcelona are facing each other for the 13th time in the Champions League, the fifth-most played fixture in the competition and the Blues head into the fixture unbeaten against the Blugranaes in any of their last seven meetings, winning two and drawing five. Barcelona have won only one of their six away games against Chelsea in the Champions League and they have never kept a clean sheet at Stamford Bridge but head to the Bridge as one of four teams still unbeaten in this season’s Champions League group stages, alongside Besiktas, Liverpool and Tottenham. Barcelona are on course to another treble as they hold a healthy seven point lead at the top of the La Liga, have a final against Sevilla in the Copa Del Ray and are also in the Champions league knockout stages. Ernesto Valverde’s side look a whole lot more organised defensively than in the past so Chelsea will have it all to do in this one. For Chelsea, only a wonderful Champions League run is the only thing that could save their manager Antonio Conte as the Italian has failed to replicate last season’s league form. 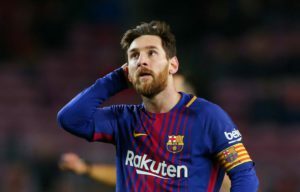 Chelsea fans could be forgiven for wondering what all the fuss is about when it comes to Lionel Messi, because the Argentine has failed to score in any of his eight previous games against the London club – the most he’s played against any team without scoring. However, their team will have to be on their toes to stop him like they have always done. It will surely be a fixture the neutrals can wait for and promises to be nothing short of drama like it has always been in the past. Manuel Nuer is Bayern Munich’s only absentee for the visit of Basiktas on Tuesday as the German number one goalkeeper continues recovers from a fractured foot so Sven Ulreich will continue in goal. Besiktas defenders Dusko Tosic and Atinc Nukan and midfielders Veli Kavlak Gokhan Tore are all out injured. The Turkish side are in the Champions League knockout stages for the first time but face a tough task against a Bayern Munich side that has won its last 13 games in all competitions. Bayern are bidding to reach the quarter-finals for a seventh year in a row and this is their 14th time in the last 16 but what stands in their way is a Basiktas side that became the first Turkish team to win their Champions League group when they saw off RB Leipzig, Porto and Monaco in Group G.
With this being the only last 16 tie featuring two reigning domestic champions a lot can happen despite Besiktas not matching Bayern interms of quality and past history in the Champions league. The Turkish side posses some quality in players likes of ex-Barca defender Adriano, Pepe, Ricardo Quaresma, Chilian Gary Medel and former Liverpool forward Ryan Babel who can cause an upset. Pic 3. 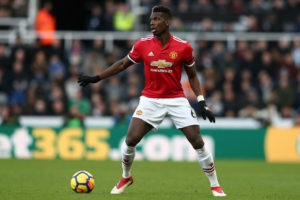 Paul Pogba may return to the Manchester United midfield after recovering from illness. Sevilla look increasingly in danger of not qualifying for the Champions league next season as all the four teams ahead of them in La Liga do not look like they are to slow down anytime soon. The team from Seville face an uphill task of going into the quarter finals as the mighty of Manchester United stands in their way. For Manchester United who will have to wait for another year so as to get their hands on the Premier league will be targeting the Champions league this season as their number one priority. Their Manager Jose Mourinho is no stranger to winning it as the Portuguese has won it with Porto and Inter Milan in the past. Vincenzo Montella’s Sevilla side may be set to be without Sebastian Cochia, Simon Kjaer and Nolito who are all doubts as they carry injuries. Left back Lionel Carole is cap-tied for this one but they should welcome back Juaquin Correa and Ever Banega for this one after shaking off respective knocks. David de Gea will return between the sticks for United after being rested for the FA Cup win at Huddersfield on Saturday but It remains to be seen whether Paul Pogba will come straight back into the side after missing the Terriers game through illness. Eric Baily may start following a return from a three months lay off but Zlatan Ibrahimovic, Marcus Rojo and Daley Blind are still out with injury. This will be the first competitive fixture between the two sides and Manchester United who have won only one in the last 10 visits to Spain should be worried about a Sevilla side who have lost once at home to an English side. The loss was against Manchester City in 2015. Shakhtar Donetsk have a strong recent home form heading into Roma’s visit. The sides have faced each other in the Champions league on four different occasions with the Ukrainians winning three and losing one of those encounters. This one promises to be mouthwatering for the neutrals as a lot of attacking talent will be on show. Shakhtar’s major injury concern remains the long term absentee Maksym Malyshev. The Defensive midfielder is still out until April after undergoing a knee operation. For Roma, they will be without the trio of Maxim Gonalons, Jonathan Silva and Rick Karsdorp who are all injured. Shakhtar have had a mixed form going into this one, losing two of their last five games but the fact that they progressed through a tough group that consisted of Manchester City and Napoli will give them a lot of confidence. Roma them selves led a difficult group which had Chelsea and Athletico Madrid but their away form especially in the Champions league leaves a lot to be desired. The Italian capital based side have won only once in their last 13 travels in the Champions league. Shakhtar have won all but one of their last six at home in Europe, with the one exception being a 3-4 loss to Real Madrid in November 2015.